This application, the first under the Rhodia era mainly concerned the continued presence and use of phosphorus trichloride and phosphorus oxychloride at the works. It was originally submitted in May 2000 but met with considerable delay due to one reason or another. It was decided on 10/1/2002 and came with 6 conditions. 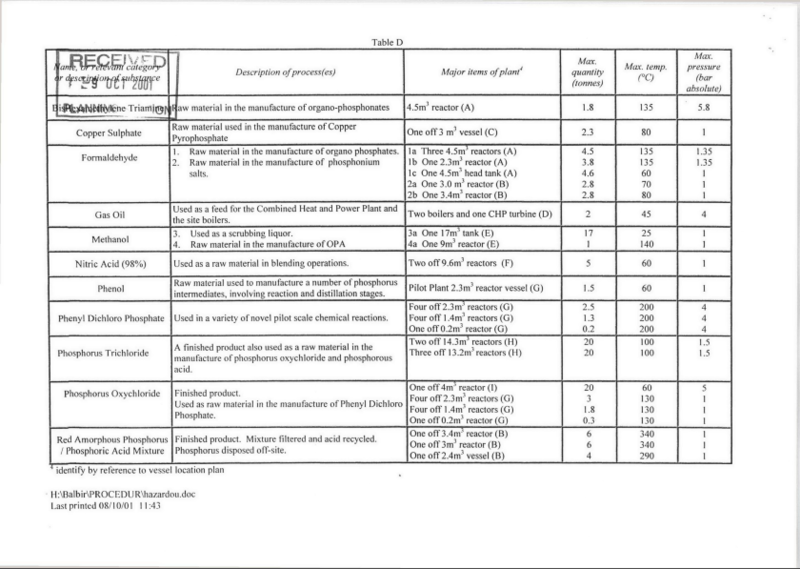 The 11 substances applied for and location use are shown in the tables below. 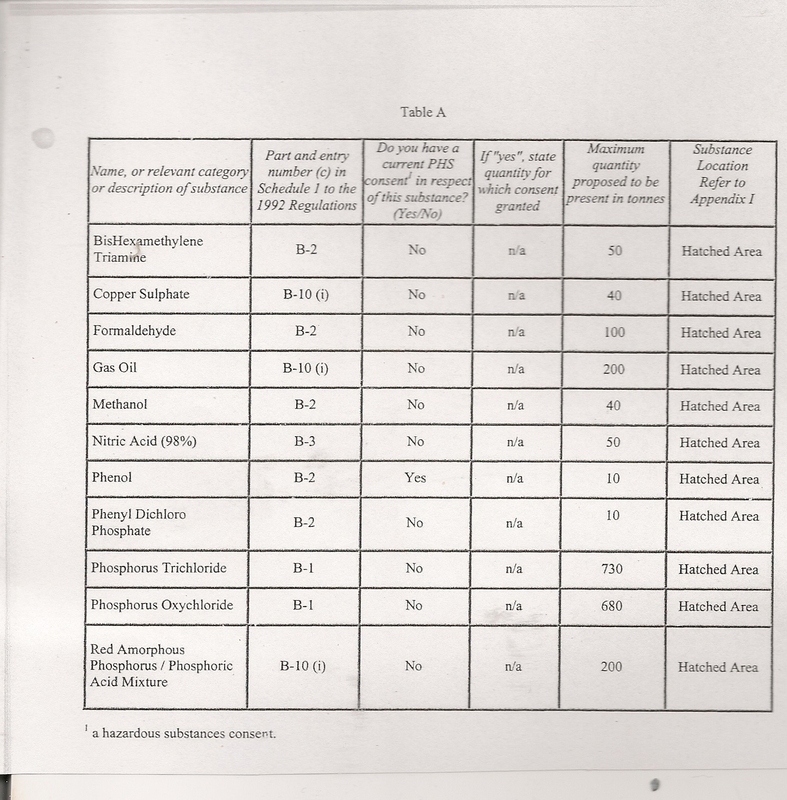 An increase in the amount of phenol and BIS-HEXAMETHYLENE TRIAMINE (B.H.M.T) on site was applied for. Three appendices were included with the application. HSE CONSULTATION ZONE The council report notes that the HSE consultation zone extends to approximately 940 meters around the works. Originally it appears that Rhodia had advertised the application without the local authority being able to find it. Once again the advert in the Express and Star was buried. The HSE gave a more considered response than usual, though much of this was technical detail rather than consideration for additional risk. West Midlands Fire service once again had little to say. The planning committee report outlines the full background to the application. SUBTANCES APPLIED FOR IN THIS CONSENT. CLICK TO VIEW SAFETY DATA SHEET FOR EACH. : Swallowing even small amounts of methanol could potentially cause blindness or death. Effects of sub lethal doses may be nausea, headache, abdominal pain, vomiting and visual disturbances ranging from blurred vision to light sensitivity. Repeated exposure by inhalation or absorption may cause systemic poisoning, brain disorders, impaired vision and blindness. Inhalation may worsen conditions such as emphysema or bronchitis. Repeated skin contact may cause dermal irritation, dryness and cracking. DANGEROUS WHEN EXPOSED TO HEAT OR BY CHEMICAL REACTION WITH OXIDIZERS. MODERATE EXPLOSION HAZARD BY CHEMICAL REACTION OR ON CONTACT WITH ORGANIC MATERIALS. MAY EXPLODE OR IGNITE FROM FRICTION, ON IMPACT, OR IN CONTACT WITH OXIDIZERS. COMBUSTION BY-PRODUCTS INCLUDE OXIDES OF PHOSPHORUS, PHOSPHINE (FLAMMABLE AND TOXIC GAS), AND PHOSPHORIC ACID IF WATER IS PRESENT. MAY DECOMPOSE TO THE MORE HAZARDOUS YELLOW / WHITE PHOSPHORUS AT 554°F (290°C). 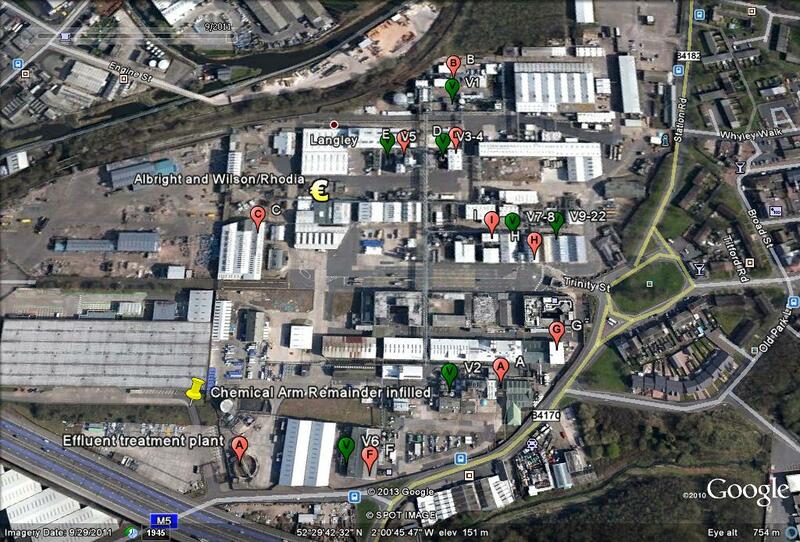 APPROXIMATE LOCATIONS OF SUBTANCES AND VESSELS REFERED TO IN APPLICATION.